This organisation is over 36 years old serving/helping young boys and girls in choosing their right life-partner from its wide data-bank of Christian Brides and grooms. 2. Your details will be circulated 12 times (i.e. 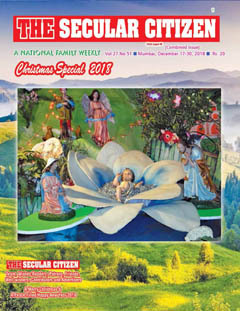 once a month) in our weekly magazine The Secular Citizen and the response will be sent to you. 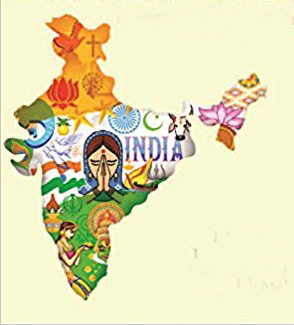 The Secular Citizen is widely circulated in the Christian community all over India. 3. You will be provided with our initial list of Brides/Grooms to make your choices and approach, immediately on receipt of your registration form and payment. 4. 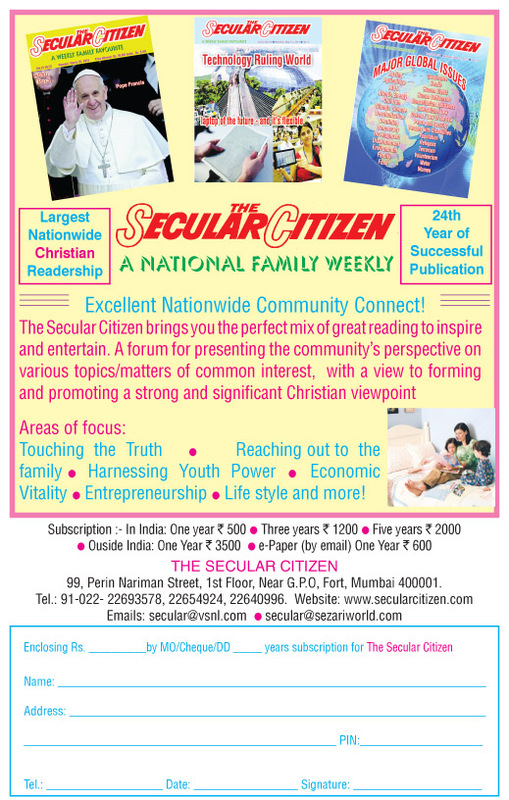 You will get our weekly The Secular Citizen for one full year by post anywhere in India or by email anywhere in the world. 5. You can choose your life-partner from all over India and abroad. 7. 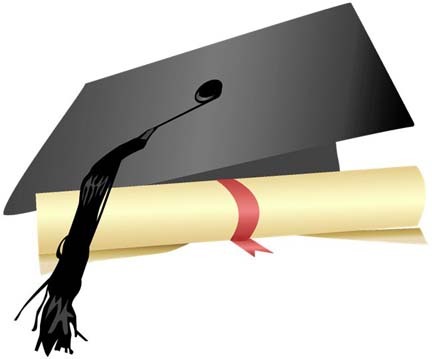 The Free registration is only with limited services/options. Where as paid registration will last for one full year with our entire package including access to members for approach. 8. You can make the payment by Bank Fund Transfer: Bank name - Vijaya Bank, Fort Branch, Mumbai. 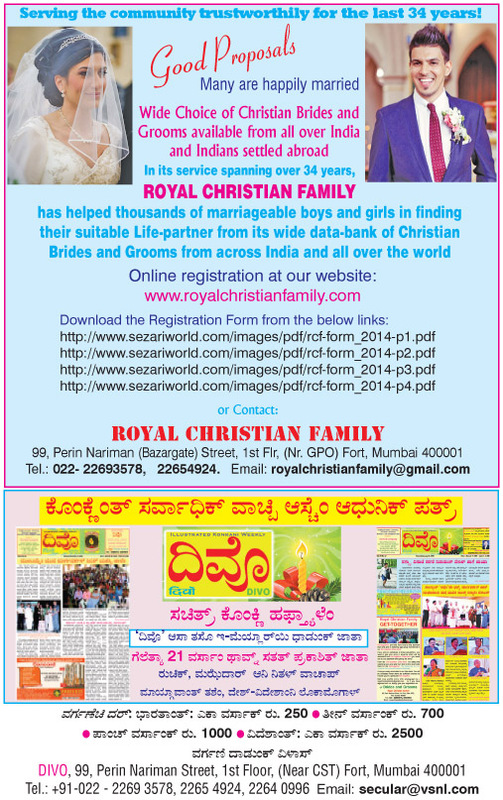 Account name: Royal Christian Family, Current Account No. 500700300005449, - ISFC code: VIJB0005007. 9. You can always contact us for guidance, service and assistance on phone or by email. Nr. GPO., Fort, Mumbai 400001, India.